I.D.N. printer issue with the (Y) code and the "made in France" blue text beside the Polydor logo on back sleeve. From August to November 1976. This original french pressing is the best! it has big dynamic range and sounds very warm. Indeed mr jarre, electronic music can sound warm and human. Masterpiece! A deserved creative and commercial success for Jarre. While not necessarily a personal first choice of an album, the charm and complexity of "Oxygene" must not be denied. Its downfall, however, lies in Jarre's choice to repeat the successful formula, scoring audible rewrites with "Equinoxe" and "Les Chants Magnetiques". 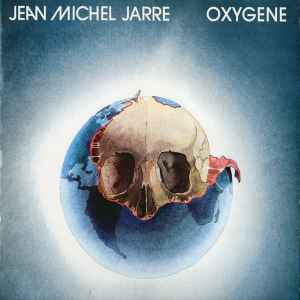 In that sense, "Oxygene" is genuine and ultimate album that probably makes Jarre himself extremely jealous to the present day. I doubt whether or not guideline 2.13.2 should be applied in this case. Simply one of the best albums in the history of music. Very fresh, original, unparalelled and incredibly deep. Wondertunes, BACH-ian depth (the last track), dramatic, hypnotic, energic. All in one. In 1976, it was simply shocking. The cover was shocking. This is one of the most important albums of all time, I could even rate it to No.1. (I don't mention Kraftwerk here, that's another story....) Maybe there's NO other album equals!!! !